Israeli government web sites came under heavy attack by anti-Israel hackers, Ministry of Foreign Affairs said. Israeli government web sites came under heavy attack by anti-Israel hackers, the Ministry of Foreign Affairs said Sunday afternoon. However, the hackers failed to bring down any Israeli sites, the Ministry said in an official announcement. A Ministry spokesperson said that users had been unable to access its site for several seconds Sunday afternoon. 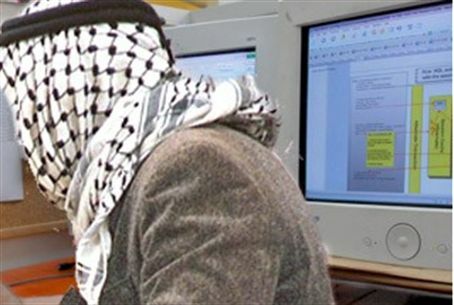 The situation was corrected, and all Israeli government sites were running as usual. In an earlier message, the Ministry said that an outage of the Education Ministry web site over the weekend was due to a technical issue and was unrelated to the hacking attack. Anti-Israel groups, among them international hacker group Anonymous, had threatened to carry out a major hacking attack against Israeli sites on Sunday. According to the Ministry, Israeli experts had successfully fought back the attacks, with the cooperation of internet service providers. The Ministry said that it expected the attacks to continue Sunday night, but was confident that government technology staff would be able to deflect that attacks. Anonymous has directed much of its vandalism toward a website that assists children with cancer.